Go out in real style with a slim and lightweight Pouch carrying case. Available in white or black it’s high quality, elegant design is the perfect complement to your Smart PC – and will help protect it against unsightly scratches when you carry it. So you’ll always look good! 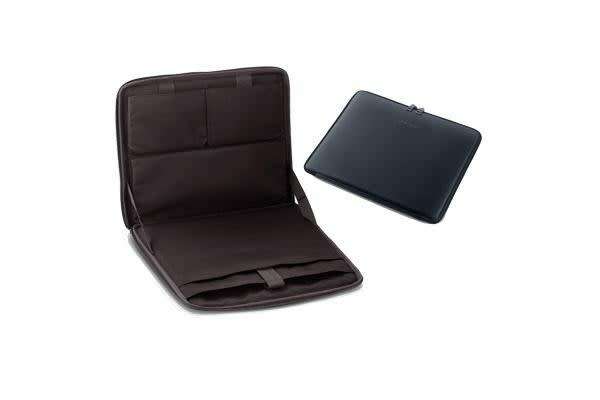 The carrying Pouch adds an extra touch of premium style to your Smart PC. Made of tough polyurethane it’s also extremely durable and won’t mark and scratch easily – so you’ll always look elegant and stylish on the move. The carrying Pouch is expertly designed to hold both your Smart PC and all of your essential accessories, including a Bluetooth keyboard, stand dock and power adapter. So you’ll always have everything you need to get more done on the go with much less hassle.